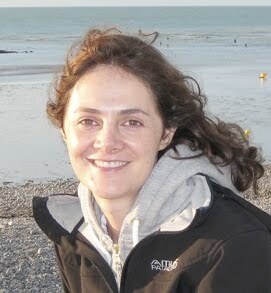 Laura Ponisio is a post-doctoral researcher in the domain of object-oriented systems (software engineering). Her research focuses on inter-organisational networks, outsourcing and network analysis. Laura received her Ph.D. in the area of software reverse engineering from the University of Bern (Switzerland), her Master in object-oriented software engineering from both Ecole des Mines de Nantes (France) and Vrije Universiteit Brussel (Belgium), and her Licentiate degree in Computer Science from UNLP, the National University of La Plata (Argentina). She has work experience in industry and academia, including software systems development and database administration. Currently, she performs action research in Holland focusing on international collaboration with private and public institutions. Using Network Analysis to Discover Cooperation Opportunities in Inter-Organizational Networks, Ponisio, van Eck, Riemens and Matsuda, in Proceedings of the 20th EuroSPI Conference, Dundalk, Ireland, June 25 – 27, 2013. F. McCaffery, R.V. O'Connor, and R. Messnarz (Eds. ): EuroSPI 2013, Communications in Computer and Information Science 364, pp 119--130. Springer, Heidelberg (2013). Metrics-based control in outsourced software development projects, Ponisio and van Eck, in IET Software, 6 (5). pp. 438-450, ISSN 1751-8806, DOI 10.1049/iet-sen.2011.0199, 2012. Metrics to improve control in outsourcing software development projects, Ponisio and van Eck, EuroSPI (European Systems & Software Process Improvement and Innovation) 2011 Industry proceedings. Roskilde, Denmark, 27-29 June 2011. Effective Monitoring and Control of Outsourced Software Development, Ponisio and Vruggink, in Information Systems Development, W. W. Song et al. (eds. ), DOI 10.1007/978-1-4419-7355-9_12, Copyright Springer Science+Business Media, LLC 2011. Planning Cooperation in Inter-Organizational Systems, Ponisio, van Eck, and Riemens, in E-Strategies for Resource Management Systems, E. M. Alkhalifa (ed. ), Advances in Information Resources Management (AIRM) Book Series, IGI Global, 2010. Combining visualisation techniques to understand co-operation in inter-organisational systems, Ponisio, Sikkel, Riemens and van Eck, Journal of Systems and Information Technology, 10(2):159-179, 2008. Using Context Information to Re-architect a System, Ponisio and Nierstrasz, in Proceedings of the 3rd Software Measurement European Forum (SMEF 06), Rome, Italy, May 2006. Butterflies: A Visual Approach to Characterize Packages, Ducasse, Lanza and Ponisio, in Proceedings of the 11th IEEE International Software Metrics Symposium (Metrics 05), Como, Italy, September 2005. XML Patterns, Ponisio and Rossi, in Proceedings of Pattern Languages of Programs (PLoP 2001), Allerton Park, Monticello, Illinois, USA, September 2001.